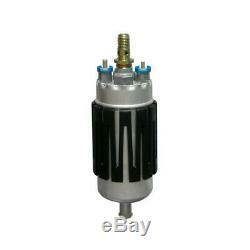 Fuel pump audi cabriolet (8g7, b4) 2.3 e 98kw 133hp 05/1991> km. 12 months for professional use. This is an original part, it can be bosch, pierburg, valeo etc ... Contact us if you need to know the brand. Corresponds to the following references (oem). 145 047, 145 047, 025,115,531, 25,115,531, 86ab9350ca, 113976, 145047, 0,580,254,975, 6,163,388, 0580254936, 431906091d, 431906091b, 8g0906091a, 431906091d, 431906091b, 8g0906091a, 431906091d, 431906091b, 8g0906091a, 431906091d, 431906091b, 8g0906091a, 893906091a, 893906091b, 893906091st, 22s906091a, 893906091a, 893906091b, 893906091st, 22s906091a, 721 283 000, 721 682 600, 721 659 520, 721 682 500, fe050912b1, fe047612b1, a1160910201, a0580254974, a0580254973, 431906091d, 431906091b, 22s906091a, 22s906091a, a0004704294, a0004704194, 1160910201, 0580254974, 0580254973, a1160910301, a1160900050, a0020919701, 83bb9380aa, 72114909921, 893906091a, 893906091st, 893906091b, 8g0906091a, 893906091st, 893906091b, 893906091a, 347 303, 347 309, 0580464125, 721659720, 72128300, 72168260, 119291, 893906091a, 893906091b, 893906091st, 72165952, 72165972, 0580254956, 0580254952, 0580254942, 0580254929, 0580254928, 0580254927, 0580254921, 0580254914, 72168250, 22s906091a, 1160910301, 1160900050, 0020919701, 0004704294, 00047041 94, 82gb9350aa, 6106539, 83bb9350aa, 1613157, 84bb9350aa, 6150295, 0580254974, 0580254973, 0580254943, 0580254941, 0580254922, 0580254910, 0580254915. Please ask the invoice when buying. Delivery to islands, overseas destinations and other places may be more expensive. Please contact us by providing your postal code to check the shipping cost. The item must be returned within 30 days of receipt. Purchase to accept sales terms available here. Do not hesitate to contact us for further information! To read the information about privacy click here. The item "audi cabriolet gasoline fuel pump (8g7, b4) 2.3 e 98kw 133cv 05/1991 km" is for sale since Thursday, April 11, 2019. It is in the category "auto, motorcycle parts, accessories \ auto \ parts spare parts \ air intake, feed \ fuel pumps ". The seller is "mondocarparts" and is located in torino. This item can be delivered anywhere in the world.